If you&apos;re looking to make a practical TV purchase but don&apos;t want to skip on the finery, the Sony KDL-65W850C is a good place to start. This is Sony&apos;s best-in-class 1080p (Full HD) model for 2015. You aren&apos;t getting 4K resolution, but you are getting the best of Sony&apos;s flagship-level software and polish. The W850C series is available in a 65-inch size (Sony KDL-65W850C, or Sony KDL65W850C) and a 75-inch size (Sony KDL-75W850C, or Sony KDL75W850C). The 65-inch retails for $1,899, but can be found online for about $1,500. The 75-inch retails for $2,999, but can be found online for about $1,999. From the design, to the ports, to the Android TV platform, both sizes of the W850C are essentially identical. Both feature 3D functionality, 120 Hz refresh rates, and Full HD (1080p) resolution. It&apos;s worth noting that while Amazon reports that the W850C models are "edge-lit," our findings during testing are that they&apos;re Direct (full) LED with frame dimming. The W850C might be Sony&apos;s top-tier Full HD model for 2015, but it doesn&apos;t go out of its way to be flashy. A thin, curved metal stand secures the panel, which is quite thin from edge-to-edge, and sports very slim bezels that place heavy emphasis on the screen. It&apos;s a minimalist design for sure, but a modern one that will fit most rooms. The rear casing is charcoal-colored plastic and smooth metal that yields the TV&apos;s on-set controls and AV ports. Back here, you&apos;ll find plenty of ways to get connected: four HDMI inputs, a full composite input, a shared component/composite input, and a coaxial jack for cable/antenna. For audio, you&apos;ve got hybrid headphone/analog and digital audio outputs. There&apos;s also a LAN (ethernet) port and two USB ports. Alongside the TV and stand components, you&apos;ll get the basic Sony remote control and two AAA batteries. The remote should be familiar if you&apos;ve used any Sony TVs in the past: it&apos;s tall and narrow, with a full number-pad and lots of hotkeys. 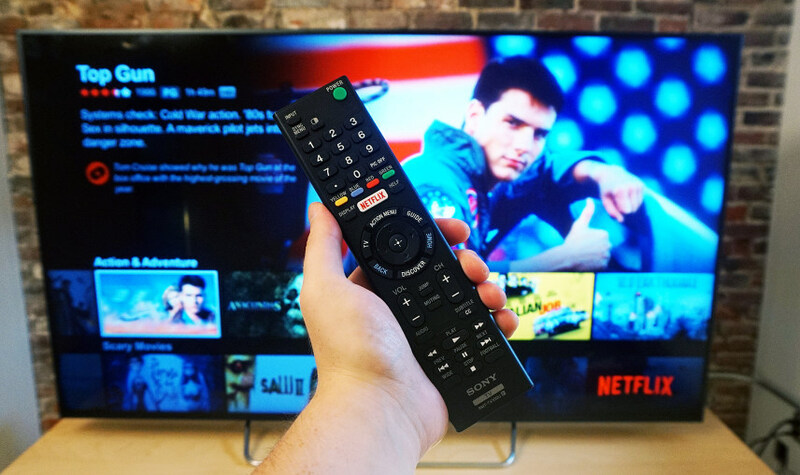 You won&apos;t find one of the smaller, touchpad-centric smart remotes with the W850C like with Sony&apos;s high-end 4K options, but navigating Android TV is easy enough that you won&apos;t miss it. In my years reviewing TV&apos;s, I&apos;ve noticed one thing about Sony: the company doesn&apos;t skimp on menus and options. To that end, the Android platform—arguably the most heavily saturated and customizable mobile OS around—makes for a perfect fit with the W850C, and if you&apos;ve used an Android device before, you already know your way around. Sony&apos;s Android TV gives you access to a huge variety of content. You won&apos;t get the entire Google Play store, but there&apos;s still more than enough to satisfy. There is one notable drawback, however. 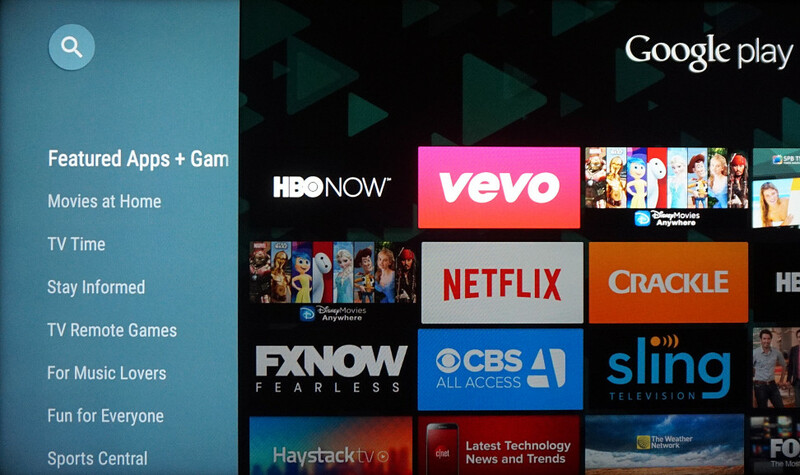 Android (and Android TV, by association) receives a lot of updates and tweaks, repeatedly requiring users to optimize and update apps, and Sony&apos;s Android TV-equipped models are not exempt. As it stands, the first time you turn on an Android TV (like the W850C), boot up takes a lot longer than usual. What&apos;s more, after the initial startup, you&apos;ll have to do another full update and optimize all your apps. It takes quite a while, especially compared to LG&apos;s webOS or Samsung&apos;s Tizen. Like the mobile OS, Android TV receives a lot of changes, requiring users to update apps often. It&apos;s worth the wait, however. While you don&apos;t get the full Play Store at your fingertips, you get a huge chunk of Google&apos;s cleanly tailored, proprietary services (like Google Music and Google cast) and a well-trodden app store that&apos;s constantly tweaked and updated. Android users will certainly love this TV experience—but we think everyone will find something to at least like about it. That rich, highly tooled experience extends to the menu software, too. While the W850C doesn&apos;t have quite the same array of options as one of Sony&apos;s high-end 4K models, there&apos;s still plenty to play with here. 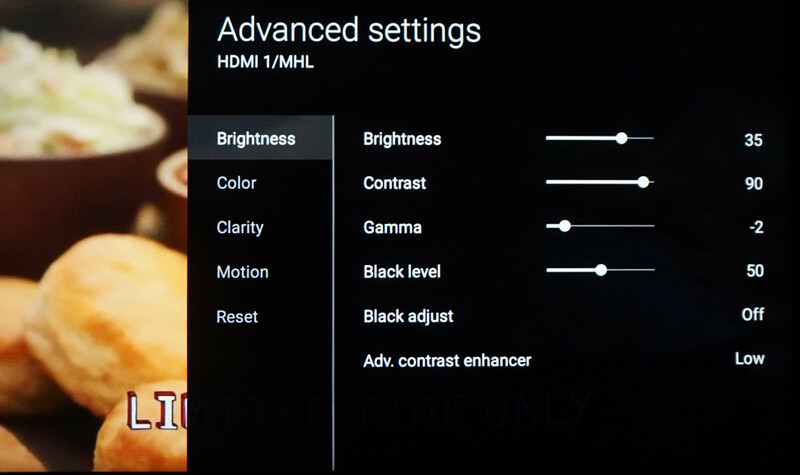 Sony judiciously breaks up picture quality controls (contrast, color, and sharpness/scaling, namely) into sub-menus, allowing for experienced TV tuners and home/professional calibrators to tune the picture to calibrated settings. Sony&apos;s menu interface is equal in detail to Android TV, offering a bunch of picture and audio customization options. You still don&apos;t get access to a color management system, but the rest of the usual controls are in-tow. Additionally, the audio menu contains plenty of pre-set modes and a full EQ for you audiophiles. Also, owners take note: if the W850C seems too dim, try turning off the "Ambient light sensor" in the picture adjustment menu. We had high hopes for the W850C, and it didn&apos;t disappoint. As Sony&apos;s top-of-the-line Full HD model for 2015, it&apos;s basically inherited all the quality and special software you&apos;ll find with 4K models like the X850C, which is this one&apos;s twin in all but resolution. The W850C exhibited excellent contrast and solid color accuracy, making a scene like this one look especially striking. To start, the W850C is capable of excellent contrast: it&apos;s plenty dark for a dedicated home theater, but can get bright enough to battle ambient lighting, too. Likewise, while it lacks some of the color abilities of its HDR-ready brethren (like the X930C), it&apos;s great by non-HDR color standards, producing rich, vivid hues that are still accurate enough not to put off picture purists. If you do choose to watch in the dark, just note that you may notice some edge dimming around the perimeter of the screen. This is fairly par for the course for full-array (direct) LED models like this one, however, and is a minor problem. As it stands, the TV&apos;s backlight uniformity is quite good, though it gets quite a bit less palatable if you shut off the "Advanced contrast enhancer" local dimming mode. 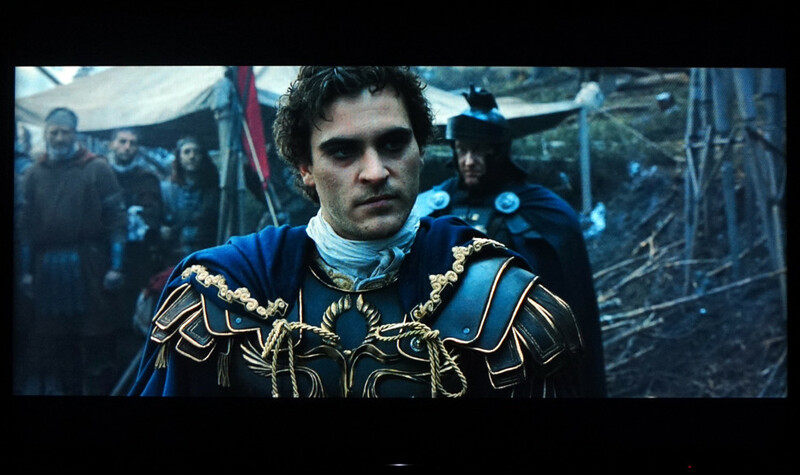 Even older content, such as The Gladiator streaming from Netflix, exhibits good detail and dynamic range. Additionally, the TV boasts the same suite of motion assistance/backlight dimming software as Sony&apos;s higher end 4K models, giving it reliable resolution retention regardless of content. Sony&apos;s Cinemotion and Motionflow settings can be customized liberally to suit either film-based (24p) or faster action content, though even with them shut off, I didn&apos;t notice any excessive blurring or juddering. 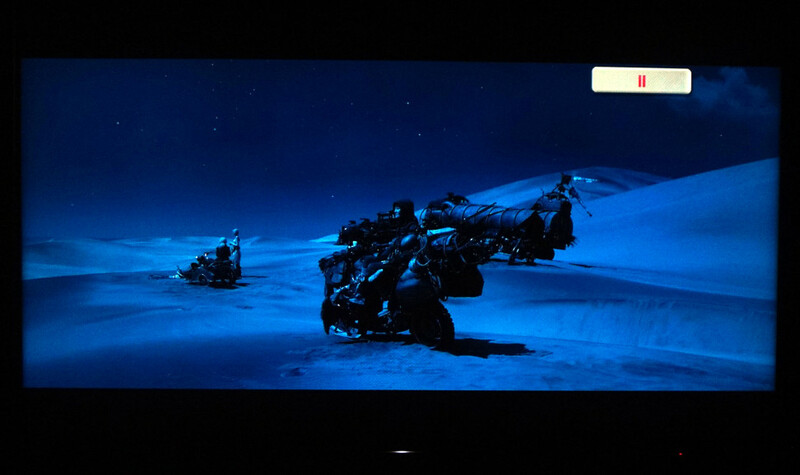 I watched plenty of content—shows like Breaking Bad streaming via Netflix, scenes from our Blu-ray of Mad Max: Fury Road, and even a little cable content, and everything looked excellent. Naturally, native 1080p (Full HD) resolution stuff is going to look best on a 1080p television, but scaled 720p cable content looked fine, too. Lately, the boss-man&apos;s been dumping a lot of 4K TVs on my plate, but Sony&apos;s W850C is proof that there&apos;s still plenty of room for Full HD resolution. In fact, unless you absolutely need a 4K TV right now, the W850C might be the best-performing LCD set you can find in this price range. 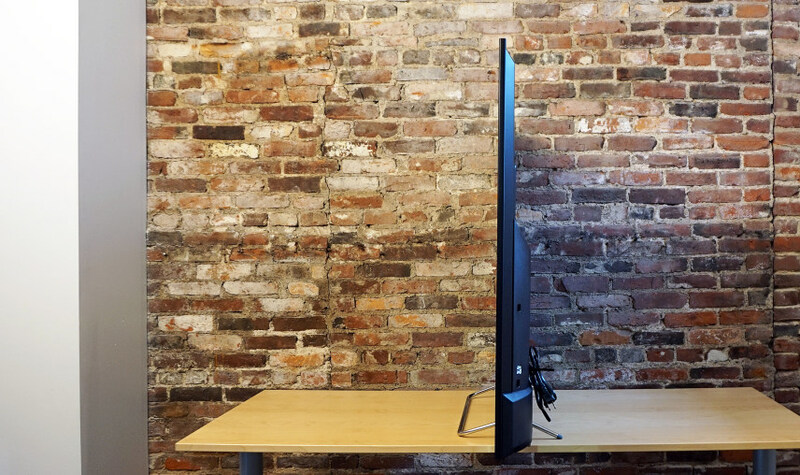 For quality like this, getting the 65-inch for $1,499 or 75-inch for $1,999 are both high-value buys. It&apos;s also worth mentioning that jumping to 4K right now still isn&apos;t very pragmatic. There&apos;s just so little 4k content out there; almost everything on Netflix is 1080p, there still aren&apos;t any 4k Blu-ray discs on the market, and many cable broadcasts are still in 720p, with over-the-air 4K still a long ways off. If the pricing is steeper than you&apos;d like, however, there are more affordable 65-inch options without all the bells and whistles. The Vizio 65-inch E Series and Sharp 65-inch LE653U can both be found for around $1,000 online. And if you&apos;re still sitting on the 4K fence, consider that while the 65-inch W850C may be only $750 less than Sony&apos;s equally stellar X850C, the 75-inch W850C for $1,999 is an insanely good value—it&apos;s half the price of its 4K cousin, but is fully equal in design, smart features, and overall picture quality.